Our vision is to become one of the leading music festivals in all of Latin America. We aim to use classical music and its power of expression to nourish the souls and open the minds of people of all ages and backgrounds. Our music will break down existing barriers and contribute to a universal humanity and better tomorrow. The participation of Edward Perez Trio is supported by Mid Atlantic Arts Foundation through USArtists International in partnership with the National Endowment for the Arts and the Andrew W. Mellon Foundation. Pianist Christopher Guzman regularly performs for audiences throughout North America, Europe and Asia, as soloist and chamber musician. He is a multiple prizewinner in many international competitions, including the Walter M. Naumburg Competition, the Seoul International Music Competition and the Isang Yun Competition of South Korea. Recently, Mr. Guzman garnered the grand prize and several special prizes at the 10th Concours International de Piano d’Orléans of Orléans, France. As a result, he regularly travels to France to perform in Paris and throughout the Loire Valley. His CD of German and Austrian music from the past one hundred years, Vienne et après, is available on the Tessitures label. 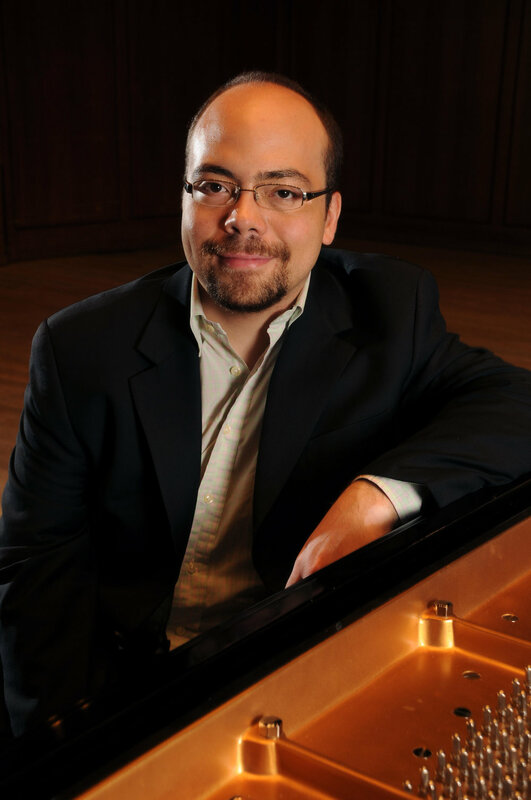 Born in Texas, Christopher Guzman began studying piano at age nine and violoncello two years later. He worked primarily with Jerome Lowenthal and Robert McDonald at the Juilliard School, Anton Nel at the University of Texas at Austin, and the late Patricia Zander at the New England Conservatory. He is currently Associate Professor of Piano at Penn State University in State College, Pennsylvania.